The New York Times Mapping America: Every City, Every Block is a useful tool for journalists and especially journalism students, who need to get out into diverse communities. 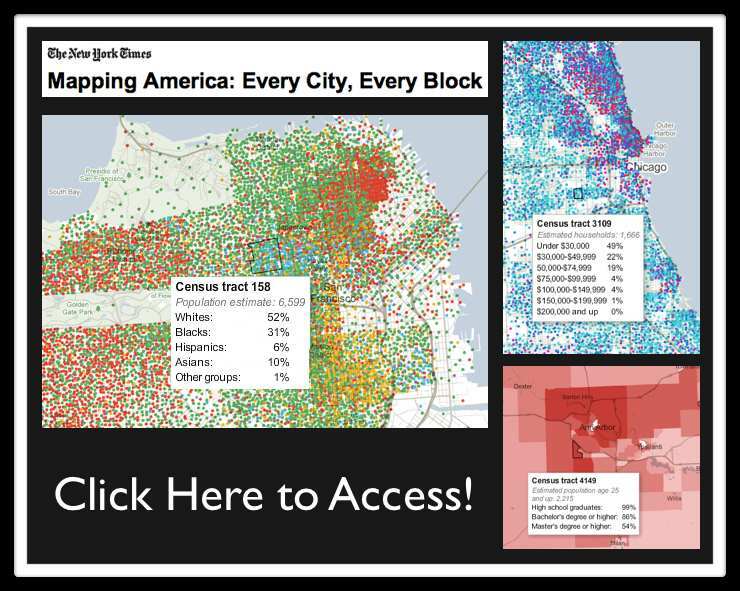 Maps are available for Race and Ethnicity, Income, Housing and Education. This entry was posted on Monday, January 10th, 2011 at 12:29 am	and is filed under Uncategorized. You can follow any responses to this entry through the RSS 2.0 feed. Both comments and pings are currently closed.